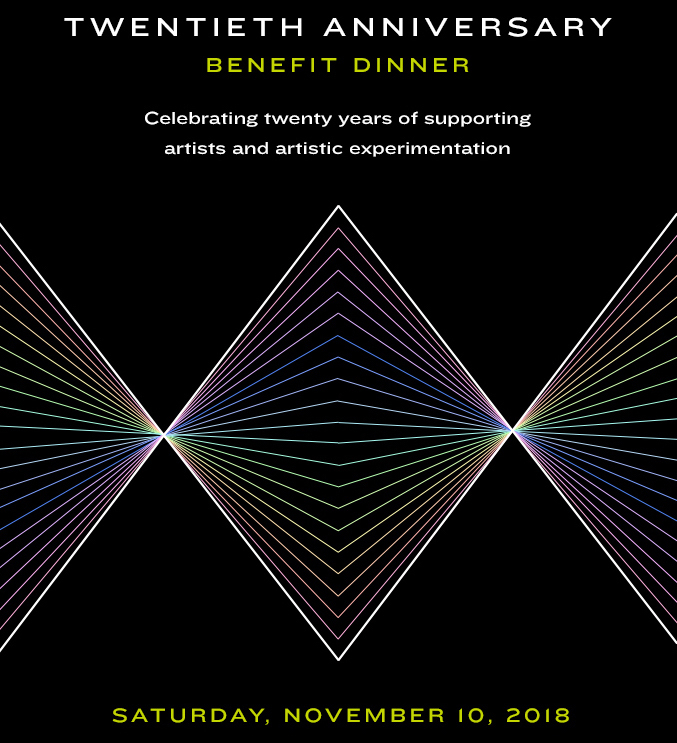 A 20th Anniversary Benefit Dinner honoring Debra and Dennis Scholl, current and founding board chairs, and the three artist founders, Westen Charles, Elizabeth Withstandley and COOPER. The evening, held at The Standard Spa Miami Beach, commemorates twenty years of supporting artists and artistic experimentation. This special gathering of friends of Locust Projects features a preview of our first major publication, produced by Tra Publishing, convivial dining among friends, and artist performances and creative happenings throughout the evening.